Our story begins in the research laboratories of the Biomedical Engineering Department at Tufts University, where pioneering scientists focus on new ways to engineer silk protein for medical impact. Research led to the identification of a highly purified form of silk protein as a new biomaterial. This naturally derived protein possesses unique properties perfectly matched to the development of an advanced, organic, and predictable biomaterial. Silk protein creates an optimal environment for tissue support and regeneration required in a range of plastic and other surgical procedures. And now our technology and its potential is the sole focus at Sofregen. Sofregen’s SERI® Surgical Scaffold, a multifilament biomaterial, grew from research initiated at Tufts. SERI® creates an optimal environment for cellular infiltration, seen here after seeding with human dermal fibroblast cells. Our vision at Sofregen is to be a force for beauty. We provide plastic surgeons with natural biomaterials to enhance their surgical artistry and achieve more durable results for their patients. We are focused on “silk science for advanced aesthetics” — unlocking the enormous potential of purified silk protein to facilitate soft tissue regeneration for a range of aesthetic procedures and surgery. SERI® Surgical Scaffold, a breakthrough silk-based implantable biological scaffold, was cleared by the U.S. FDA in 2013. 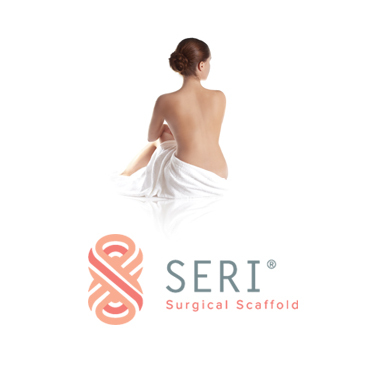 Sofregen acquired SERI® Surgical Scaffold in late 2016 to advance this technology and other silk protein-based pipeline products in a broad range of aesthetic procedures requiring tissue support. SERI® is just the beginning. We are in the advanced stages of developing a portfolio of silk-based implantable and injectable products that will become a force for beauty. In the future, Sofregen will bring to market a range of unique silk-based devices for surgeons, aesthetic practitioners and other specialists.